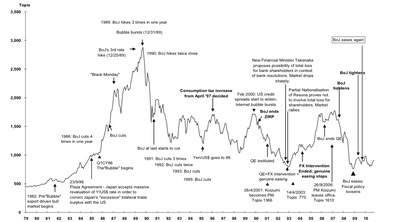 Fantastic chart here from Morgan Stanley — which lists Fed tightening as one of its three big risks to the market — showing the history of the Japan bust. What’s remarkable is how closely aligned peaks were with any tightening moves, and how nicely troughs are aligned with loosening. Want stocks to keep going higher? 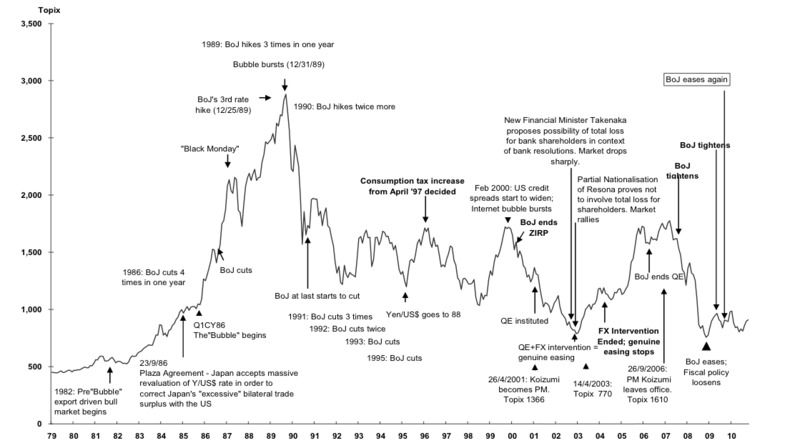 Hope Bernanke doesn’t start getting unnerved about inflation.